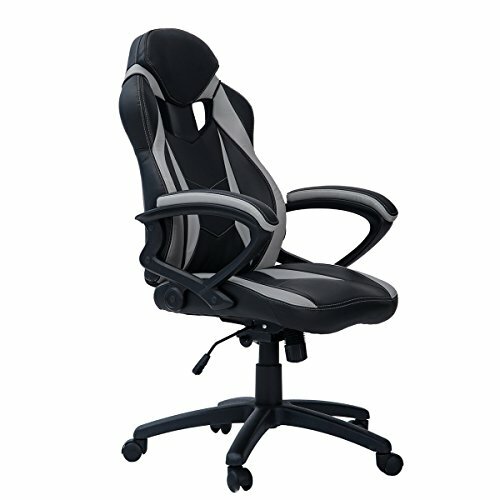 Merax Ergonomic Racing Style PU Leather Gaming Chair for Home and Office is upholstered in soft and durable PU leather. Soft headrest and thick padded armrest could reduce fatigue during hours of sitting. Ergonomic back design makes you feel more comfortable. Heavy duty base with casters for greater stability.